A short-term investment option helps the investor in earning a very good return in a shorter duration. A shorter duration is not universally defined. However, an investment period of 2 years or less is considered as a short-term duration for the investment. Many a time we have excessive cash at our disposal and we prefer to keep it in saving bank account. Instead of keeping excessive money in the saving bank account it is advisable to invest in few best short-term investment options. Few examples of short-term investment options are a short-term fixed deposit, fixed maturity plan, recurring deposit, debt fund etc. Out of this low-risk debt-orientated mutual fund and ultra-short term funds are an ideal option for the moderate risk investors. Here are 5 Best Mutual Funds for Short-Term Investment. Axis Liquid Fund is one of the most popular liquid funds. This fund is for low-risk investors who are looking for a high degree of liquidity. Axis Liquid Fund is available with two options. It is advisable to invest in direct fund option compared to regular fund. The majority of fundholding by this fund is in fixed deposit, commercial papers and treasury bills. It is open-ended fund with no exit load. The expense ratio of this fund is also low. Indiabulls liquid fund is one of the top rated liquid funds in the market. Indiabulls invest in money market and debt securities with maturity up to 91 days. This fund has given very good returns in last 5 years. A low-risk investor can invest in this fund for the shorter duration. Franklin India Ultra-Short Bond Fund is an ultra-short bond fund with the aim to provide a combination of regular income and high liquidity. This fund invests money in a mix of short-term debt and money market instruments. This fund has consistently given a better return to the investors. It is open-ended fund without exit load. If you are planning to invest your money for 1 year you can invest in this fund. HDFC Short Term Opportunities Fund is one of the best fund for short term investment. The objective of this fund is to generate regular income through investment in debt securities and money market. This fund has given very good return in the past. SBI Magnum Constant Maturity Fund is a gilt fund. This fund invest their money in securities issued by both central and state government. It is very low risk fund as most of investment is backed by the government. However, return of this fund varies with interest rate variation. There are lot of factors that you should consider before selecting a good mutual fund scheme for a short-term duration. 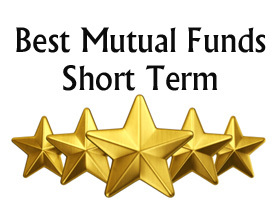 Please note that all mutual fund scheme categories are not suitable for a shorter duration. Don’t invest in a fund because of its popularity or rating. Make sure that fund objective is matching with your financial goal. The fund that offers a higher return in shorter duration is better for investment. However, a higher return is not the only factor for making an investment. Make sure exit load is not applicable on the mutual fund where you are investing your money. Please stay away from a mutual fund scheme with lock-in period. Know about the applicability of tax on the mutual fund before investing. Equity-oriented mutual funds are best for long-term investment. Equity-oriented mutual funds are volatile in nature so one should avoid equity oriented mutual funds. Make sure to review your investment portfolio once in a few weeks.